If you are looking for a cheap big city to travel to you can head East. It is indicated by Forex Bank’s new urban index where 58 cities were compared. Here is the list of cheapest weekend cities. With an index of 47 the Indian city Mumbai, besides Tirana, is number seven among cheap destinations..
Thailand’s capital is a major destination for tourists. Many stay here a few days for sightseeing and cheap shopping before their tour in Asia continues. The city is number six on the list among this autumn’s cheapest. 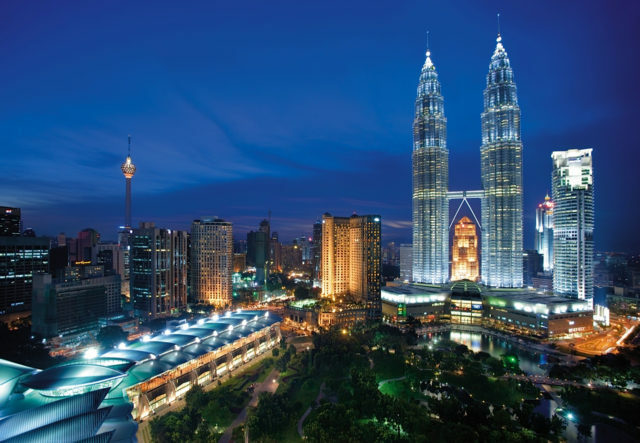 Malaysia’s capital city is perhaps best known for the beautiful twin Petronas Tower, which with its 452 meters is the seventh tallest skyscraper. But there are also many nice markets and gleaming shopping centres where you can find bargains. Kuala Lumpur shares fifth place with Belgrade. Serbia’s capital is growing stronger as a weekend destination. Along with a number of historic buildings it is mostly the city’s cafés, bars and lively night life that attracts visitors. Just as Belgrade, Sarajevo – the capital of Bosnia and Herzegovina – recovered from the war and is now being transformed into a modern city, where tourism is increasingly important. With a price index of 45, the city is fourth on the list of autumn’s cheapest cities . Vietnam’s largest city is the least expensive city in Asia, according to Forex urban index. You can read more about living in this city here. Ho Chi Minh City, also known as Saigon, shares third place with Bucharest. Romanian capital shares a bronze medal in value for money with Ho Chi Minh City. Warsaw has name of “new Berlin “. The Polish capital has a long way to go before reaching the German capital’s popularity, but for those who want to keep the travel budget tight, Warsaw is a hot option. Autumn’s cheapest city is Bulgarian capital Sofia. Historical buildings, marvellous cathedrals, great shopping and night life as well as mild climate attract thousands of tourists, however prices are still very low in Sofia. Among the most expensive cities are seen New York (index 166), London (142) and Los Angeles (129).